Maggie told me that she wanted her engagement session to be one of a kind and unique. 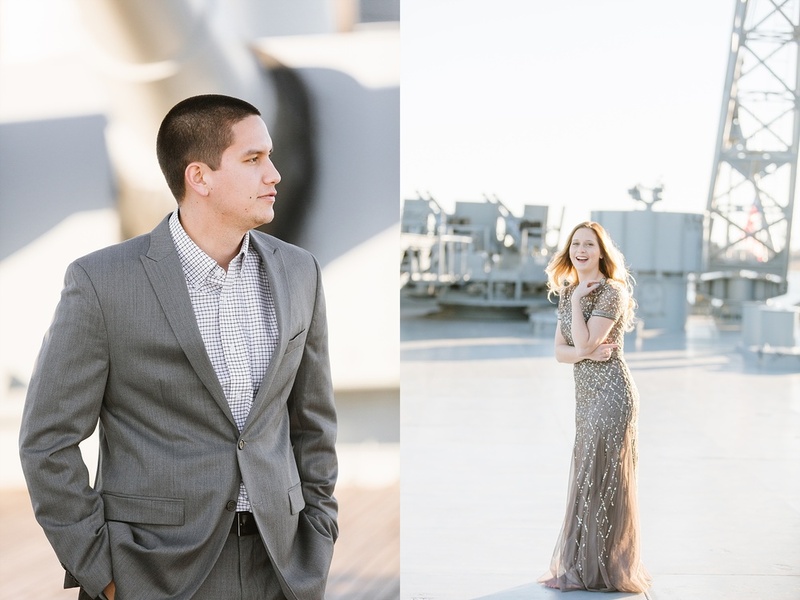 After learning a little bit more about Maggie and Justin, I found out that the two became engaged overlooking beautiful Mobile Bay. 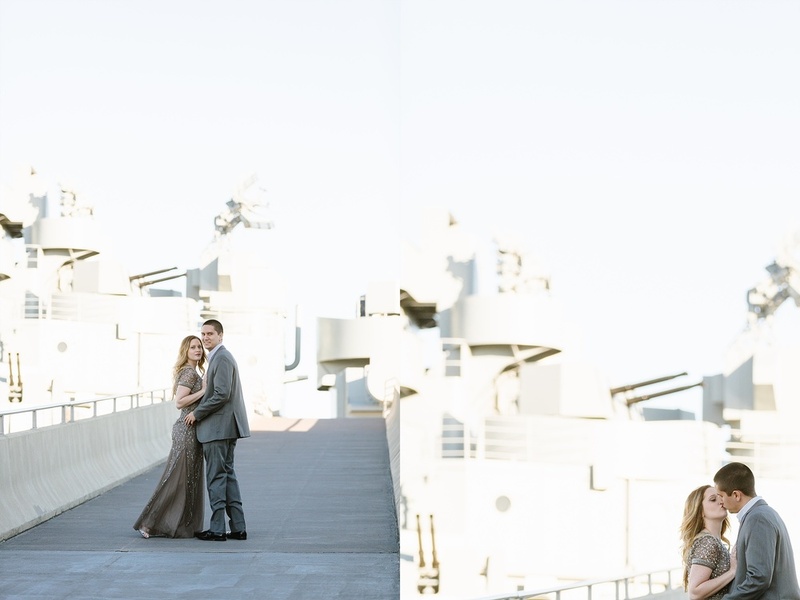 That's all I needed to hear and I knew the perfect location and style for their shoot -- the USS Alabama Battleship! Ah! If you have never been you MUST go! The history, the incredible journey, the adventure....I can only imagine all of the stories that this massive gray vessel holds. Tonight we added one more. Maggie stepped out in a stunning Adrianna Papell beaded gown and was met with the hand of her future husband. They walked upon the battleship and for a moment (okay well the entire time) I felt like I was photographing movie stars straight out of a romantic Nicholas Sparks novel.